Whether overseeing a merger or aquisition, thinking about enetering new markets, carrying/developing a new product line, instigating digital transformation etc., significant business change carries with it big risks. Often the focus can be on the promises of the change such as cost savings and operational benefits, or on the activities and required to achieve the change. However Cybersecurity absolutely has to be a key part of the risk assessment due dilligence and planning process. For example when involved in M&A, it’s only natural for attention to turn to what the new company will look like, what business improvements will come with the new assets and client base. It can be a complex task to piece together a comprehensive vision of how the new organisation will be structured; where the staff will be located and which staff will stay on and which will not. But to buy a company is also to buy its data. And buying data means you are buying past, present, and future data security problems. The economic impact of a transaction can shift dramatically if, after the deal is consummated, past or ongoing data breaches come to light. 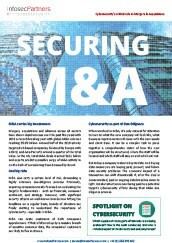 Greater attention has to be paid to a potential target’s cybersecurity efforts during their M&A due diligence process. When organisations think about security, they most often think of securing their networks, software, and digital assets against cyber attacks and data breaches. But the supply chain (this could be a traditional manufacturer or service provider's supply chain, or the "data supply chain" relied on by most large enterprises) is also vulnerable to security risks as has been seen in a litany of major data breaches via third parties. Practically every company has a place in the supply chain, and supply chains are evolving to be as much about the flow of information as they are about the flow of goods and services. Thus, it comes as no surprise that supply chain security is a highly complex, evolving function, and it's one that security teams and business executives are giving more attention as the risks facing information throughout the supply chain become increasingly obvious. The promises of cost optimisation, enhanced productivity and enabling employees to work in new ways, to increased competitiveness and better customer engagement and satisfaction means that companies everywhere are implementing digital transformation programmes. However, digitalisation also exponentially increases risk and complexity. Deploying more business-critical digital systems and storing more confidential data exposes organisations to increased cyber-risk, whether it's from negligent employees, criminal gangs, espionage or hacktivism. Security Risk Assessments are critical for organisations of any size planning to undergo any significant business transformation. As trusted experts in cybersecurity, Infosec Partners have a track record in helping significant organisations ensure that they get the most from business transformation by effectively evaulating cyber risks in advance. 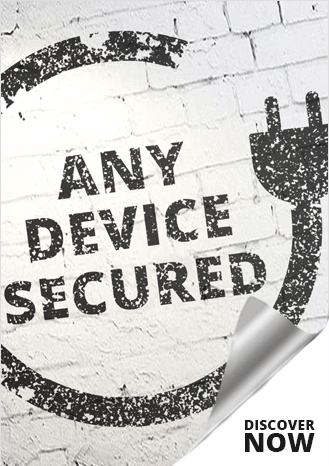 Concerned about the security risks surrounding your business transformation? Just let us know how we can contact you and one of our Trusted Advisors will be in touch.